This is the sweater I started yesterday. The yarn is Noro Kureyon, I don't know the number. My sweet sister gave this yarn to me last year for my birthday and it has been so hectic that I haven't gotten to it yet. This Kureyon has been on display in my family room in a ginormous green bowl for all to enjoy, mainly me. I am loving it knitted up, even more than I anticipated. 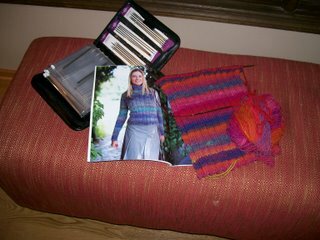 The pattern is a skinny ribbed sweater from the Noro 2 collection by one of my all-time faves, Debbie Bliss (j'adore!). 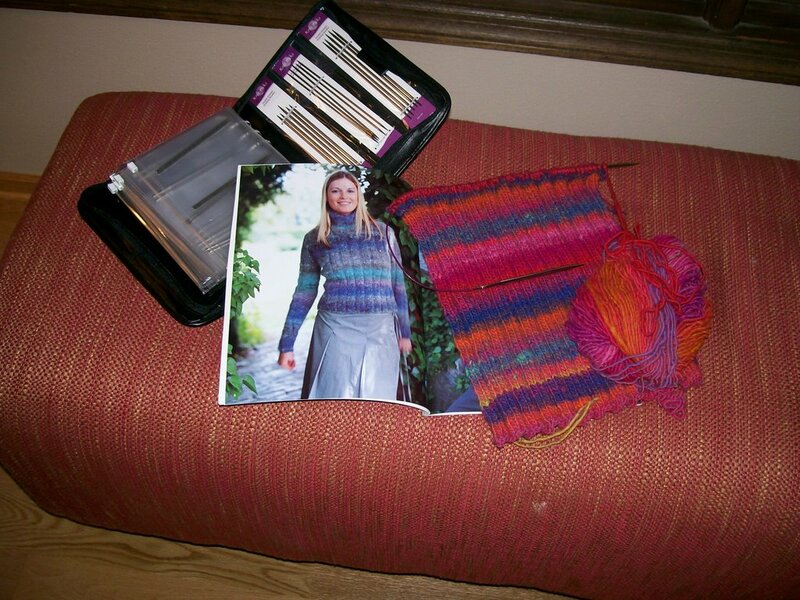 I have already knit this sweater before in a different color-way of Kureyon many years ago. How boring, you wonder? No way! I love, cherish and wear this other sweater to death all winter long. I could really use another one. This style of sweater is my favorite, simple lines with a turtleneck. My sister, mom and I went to lunch yesterday for my current birthday. My sister came through again with a gift certificate to Lakeside Fibers, a local yarn shop. Love her! Even better she bought the certificate at her school's silent auction so the money went to the school, how smart is that? I will write about Lakeside Fibers at a later date because it is one of the most exquisite yarn shops around, and it is right here in Madison. We are lucky. One Bowl of Kureyon, Please!